Saipan Is., in Marianas being shelled by ComCruDiv-6. June 1944. Secondary 5" batteries let go with a salvo at targets on Saipan during landing operations. 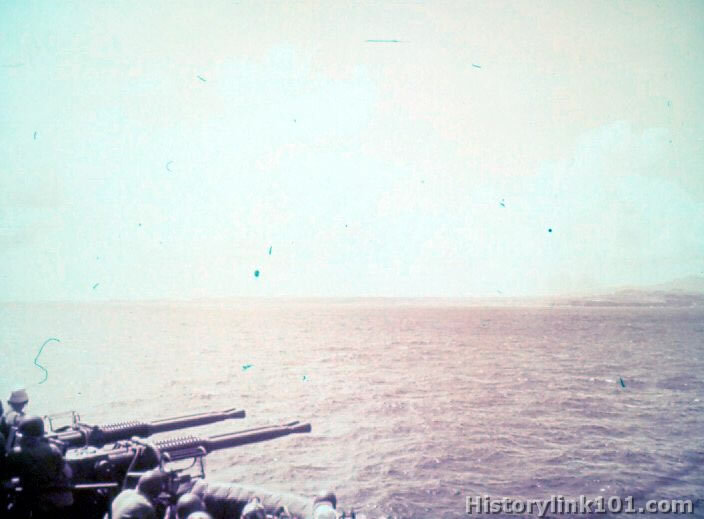 Other members of the cruiser's crew stand by to man antiaircraft gun.